I few weeks ago, the Rory Peck Trust asked freeDimensional to host a documentary filmmaker from a neighboring country. The filmmaker’s work as a freelance journalist had placed him in harms way and together our organizations took steps to assure his safety. As freeDimensional transitions to become the Creative Resistance Fund, we are encouraging our art space partners to apply for funding to do the critical hosting work we have designed and road-tested together. 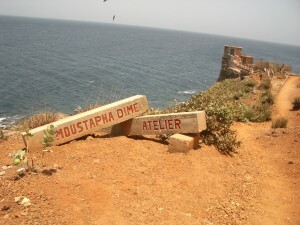 The Atelier Moustapha Dime (named after a famous Senegalese sculptor and managed by one of his former students) offered one of its bedrooms to the filmmaker. And, this is not the first time that a culture worker in distress has found refuge at Atelier Moustapha Dime. 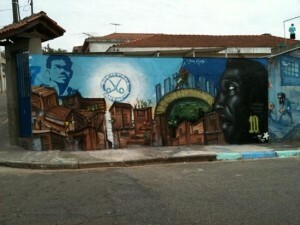 freeDimensional learned about another community art space in Sao Mateus, a neighborhood on the outskirts of Sao Paulo, Brazil. The human rights organization Conectas explained that this space, run by a group of local youth, hosts English lessons, capoeira classes and street painting workshops. When a local women’s rights initiative and meeting place lost its funding, the youth invited them to have their meetings in the art space. freeDimensional & the Creative Resistance Fund is proud to support both these critical hosting initiatives in Senegal and Brazil.